The Crucible Jiu-Jitsu grappling program is based around learning the critical ground fighting techniques needed for self-defense. One of the great things about integrating Brazilian Jiu Jitsu is broadening the students ground fighting knowledge. 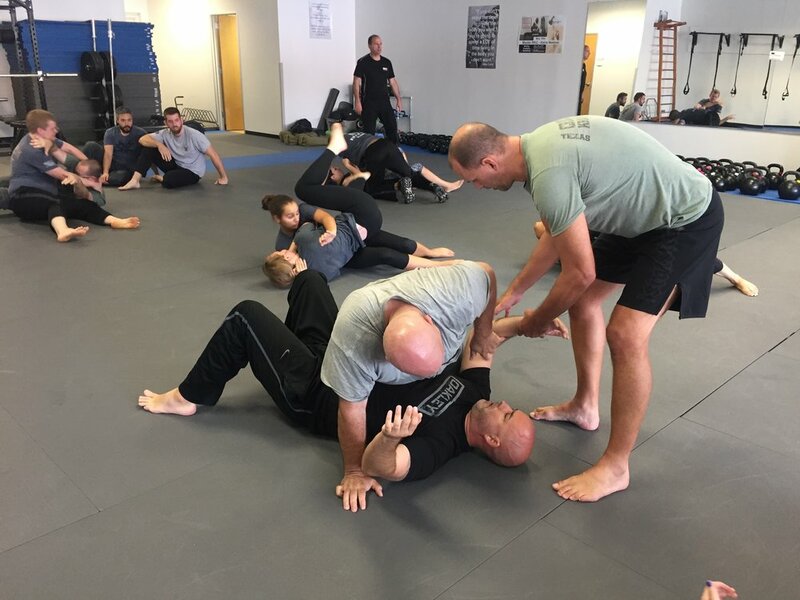 Krav Maga does have a great ground curriculum, but almost anyone can tell you that BJJ is one of the most efficient ground fighting systems ever created and much of it is applicable to self-defense situations. Our grappling program integrates the best parts of BJJ into our Krav Maga program seamlessly. The purpose is to provide students with the most effective self-defense combination, using the self-defense minded parts of brazilian jiu jitsu integrated into the Krav Maga system. June 2nd - Kids Bring a Friend! Students in our Kids Krav Maga program can bring their friend for FREE for a night of fun and training.